Since there are a lot of different threads now discussing the different ways to upgrade the Lynx’s power regulation circuits, I thought I’d sum them up here. The Lynx has a built in switching regulation circuit that converts the 9V from batteries or AC into 5V for the system to use. There are few key components that make this circuit work, including a MOSFET (Q12 on Lynx II, Q11 on Lynx I), and a Zener diode (D13 on Lynx II, ZD1 on Lynx I). When the MOSFET fails, typically your Lynx won’t power up. That’s why the headphone ground trick works to bypass it temporarily. When the Zener diode fails, the power supply circuit loses its voltage “reference” and lets 9V go right on through the system, causing other chips to fail. There was someone in Germany who figured out that you could replace the onboard regulation with a 5V regulator like an LM7805. This involved removing the Zener diode, a transistor, some diodes and modding the PCB. The LM7805 is inefficient and runs hot, so people experimented with the DC-DC converters. I wrote a whole thread on installing a RECOM DC-DC converter in as an upgrade or repair option. Another option is simply replacing the MOSFET with a new one, and the Zener diode with a new one. After several different people in the forums (including some bright engineers) examined the original power supply circuit, it was apparent that the Lynx has a efficient switching regulator. See the proof in This Thread! Therefore, by putting in a new regulator, you’re just doubling up circuitry. Also, the 5V regulator mods have the side effect of draining the batteries when the Lynx is off within a day or two. This is because the 5V regulator never truly shuts off. I’m biased, and even after writing the article on the 5V mod, and doing it on quite a few Lynxes, I just perform the Zener diode and MOSFET replacement. This preserves the original circuitry and power draw of the Lynx. By replacing them with newer parts, they should last another 20+ years as well. Ultimately, we are going to try to come up with an overvoltage protection circuit that can go in the Lynx to shut it down if the Zener ever does fail. This is the best solution. I want to install the new Zener and MOSFET! All you need to do is order up the latest equivalent for the original MOSFET. Currently a good choice is the 2SK2231. For the Zener diode, a modern equivalent is the 1N5229B. Note that the Zener is through hole, which works great on a Lynx I. For a Lynx II, you’ll just have to chop the leads and mount it. For the Lynx II, the black stripe on the zener should point to the left towards TP19 on the board. DO NOT reverse this! The MOSFET is a simple unsolder, solder a new one in. If you use digikey, these part numbers are for you! Edited by cowdog360, Sun Jul 3, 2016 1:46 PM. I wish I could edit the top post. After doing some more testing, it looks like the 1N5229 zener diode has a higher test current (20ma) than the stock 1N5991B (5ma). This is causing some Lynx's to only have about a 4.4V output, so they aren't working quite right with it. Option 1: Use the 1N5229 zener, but change R74 from 120Ohms to 30ohms. This will allow the zener to work properly, but your Lynx will use about 2% power more than factory in theory. I plan on testing this during the week. Option 2: Get an original 1N5991B. I found a supplier, and I've order about 500 of them, so I'll have a stock people can buy from if they want (rather than having to place huge orders online). Nice! I'm going to revert mine that has LCD mod to original zener diode design. Put the new diode in place, replace the mosfet (got a few from Console5 long ago), and 2 original diodes back in place where the 5v reg is now. Good info, and I'm convinced just replacing the FET and zener will be the best option of all. I have a lot of experience with power supplies on my classic (early 80's) arcade games. The big majority of these use conventional power supplies, and despite a lot of discussion about caps drying out, the vast majority of the ones I came across they still work fine after about 35 years. I am going to state here that I'd like to see a switching power supply reach that age without going bust. The 1000.000 (or more) switching times per second _will_ make the switching transistor wear out over time. There are many people who replace the conventional power supplies with modern cheap, Chinese switching power supplies, thinking this is better, and in home-only use this might actually last a long time. But arcade machines have been running very very long days, some even 24/7 in their past. So, while lineair (conventional) power supplies are inefficient, their lack of stress on the parts make them last much longer. The only real problem which sometimes happens is dried out electrolytic caps, but my findings are that the bigger the caps, the less likely they are to fail. I have a good cap tester (measuring the ESR with a high frequency) and only replace caps that show bad values. A lot of the older caps with brands like Nichicon (which Atari used on their arcade games) simply are amazing quality and rarely fail. Which makes me come to the conclusion that replacing the FET is indeed the best idea. Edited by Level42, Mon Jul 25, 2016 3:30 AM. I have just replaced my FET (I mentioned in another post that the Lynx was dead coincidentally just as I was trying the Lynx SD card - I don't blame the card, I think it's just unfortunate timing). It came straight up and started working right away. I didn't replace the Zener Diode - it's a passive component, I''m not really convinced they degrade in the same way as Capacitors. It might have been prudent to do it at the same time, but it wasn't really worth the faff of trying to order a single diode online when I don't have accounts with electronics suppliers. One thing to note is that if you haven't done this before - it's quite a large solder pad that the FET sits on so be prepared for a little battle to desolder it (if you're not using hot air). Touching it with a bit of new solder will make old solder joints run easier, that is much better then keep heating them. The FET is the thing that wears out because of the high frequency switching, the zener is much less stressed so I think you should be fine. Well, I'm going to put the zeners up for sale here shortly if people want the original 1N5991B's. I bought 400 of them. I could also sell the MOSFETs with them as a package. I'm the the US, so postage would be cheap here, international would be a little more. As you mentioned, the MOSFET is a little tricky to get off, but I do what Leve42 said: I just add some fresh rosin core solder to all the pads and grab with some tweezers, and that works pretty well. I also have hot air, but prefer not to use it where I can. Well, the zener also switches. When it conducts, it puts a Vgs on the MOSFET. When it doesn't conduct, the MOSFET turns off. It dithers on/off with the MOSFET at the same frequency to allow the switching power supply to regulate to 4.9V. Hi, are you selling the MOSFETs and the original Zeners as a package now? I am interested in buying a set. I too would be interested in a set up power upgrade components. I also need step-by-step, with pictures upgrade instructions. 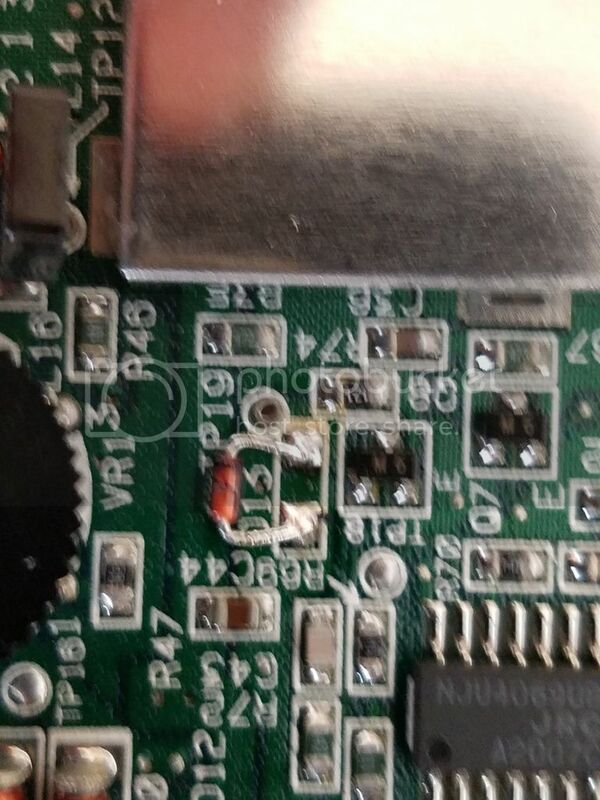 I tried soldering a Mosfet and had no idea actually where to solder. Messed it up, big time. Ok, so I'll try and get these parts listed up on my store, but can also sell them via a private message. I'll also make a quick video and write-up on doing it. Perfect! Thanks for your service. PM sent cowdog360, come on back. Thanks cowdog360 for the excellent work on the upgrades, repairs & McWill screen installation you performed on my Lynx II. Awesome work! My Lynx has been given a new lease on life. I get confused with all this. Why do I need to have anything other than my official lynx power bricks for my original lynx circuits?! The power works just dandy on all my lynxes whether it be mcwill/old style. Battery-wise I use Duracell 'stay-charged' or on occasion my Naki power pak that I upgraded with NiMH. I have, but rarely use, the giant official lynx battery pack with Duracell rechargables. This isn't about the power brick, but about the voltage regulator that's on the Lynx itself. 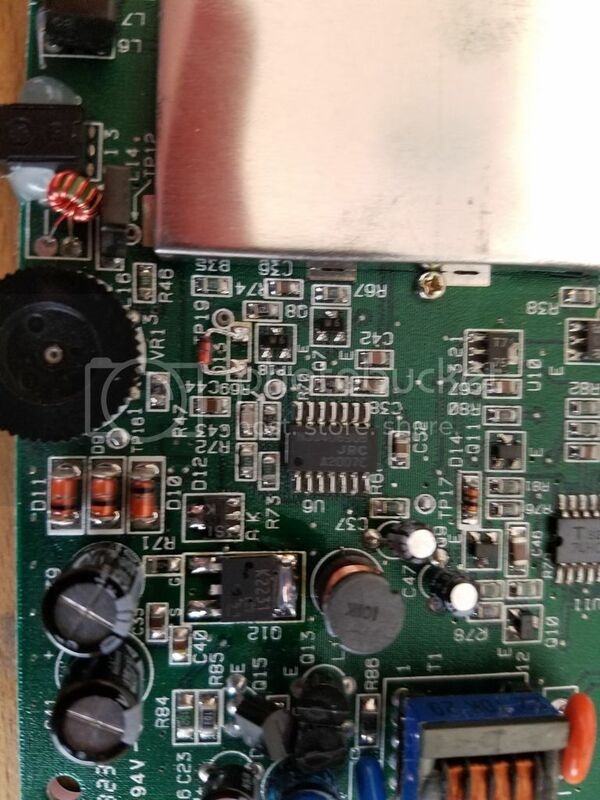 I am definetly interested in trying to get hold of the FET and diode please, finding them so hard to source in the UK :-( Any help appreciated. I just ordered some from Mouser. In order to get free shipping I had to order some extras. I need 4 sets for myself and 6 are up for sale. 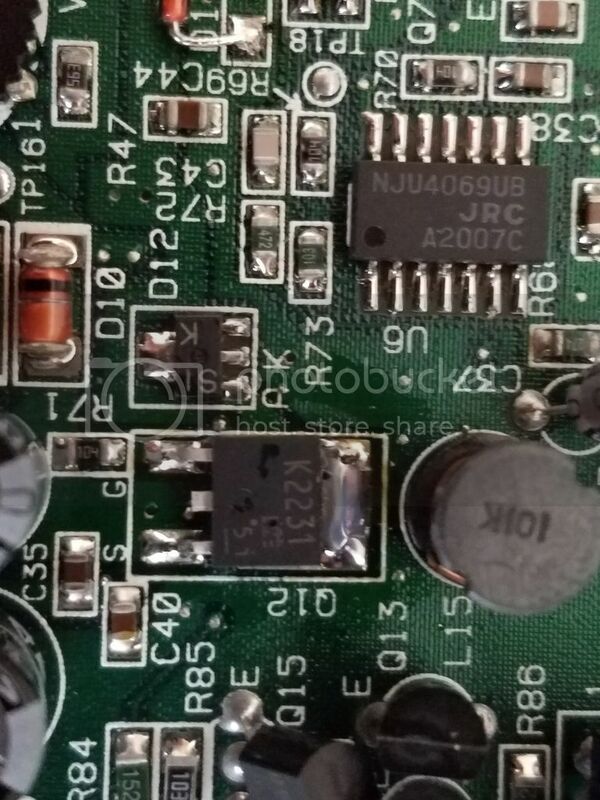 There seems to be BZX79C4V3 zener available with 5mA 4.3V. The MOSFET's were more expensive 757-TK2P60DTE16L1NQ. I also ordered enough caps for either Lynx I or Lynx II. With VAT the cost of a caps kit + zener + MOSFET is €7. Shipping envelope + stamp is €3. Total is €10. Drop me a line if you want some. Supply is limited to the extras I had to get. I hope it's okay to ask a question on an old thread, but what could cause the zener to fail on the Lynx? Are they being operated outside of specification, or are they dealing with voltage spikes from wall warts? Edited by rmzalbar, Fri Jun 23, 2017 1:25 PM. It's not really the Zener that fails, it's the FET, after years of being high frequency switched it can break down and thus it can allow 9v to flow into the Lynx, the Zener is swapped out out the same time your replace the FET as a precaution. That makes sense. If the zener failed (conductive,) no voltage at the rail. Crowbars for everyone, then. My Lynx I got a 5100 mAh flat battery w/ adafruit charge/boost controller, so no worries with that one, but I don't want to butcher all of them that way. That's why I'm working on some designs for an improved power system that can be fairly easily installed... soon! Karri, you also need to take into consideration if you're using anything other than a 1N5991b zener, that you need to change the R74 resistor to allow enough current to breakdown the zener to get the 5V regulation. If you don't, you'll find that your Lynx will only be getting like 4.3 - 4.5V instead of 4.7 -5. Some lynxes handle it better than others. I just have a stash of old 1N5991B's that I'm using (no resistor mod needed), but I've also used the 1N5229 zener and changed R74 from 120Ohms to 30ohms.